Spirit and endurance in perfect harmony. Hotel boasts a youthful, simple design in a high-grade finish. The handles are round at one end and taper off at the top, lending this discreet design a touch of elegance. 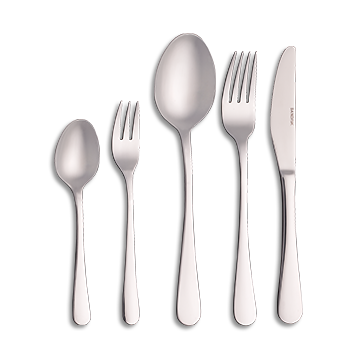 Beautifully polished surfaces, clean lines and high-quality materials make this timeless cutlery the perfect accompaniment to any occasion. Hotel's perfection lies in its simplicity.